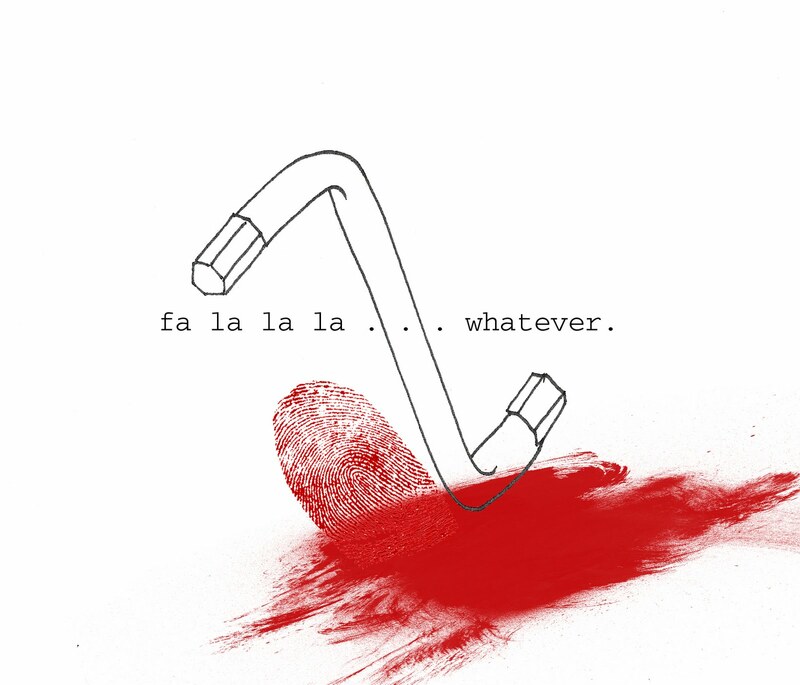 fa la la la . 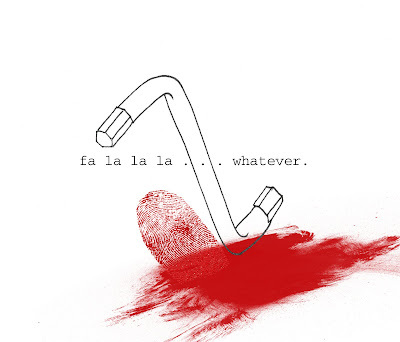 . . whatever. Christmas. It happens every year. This one was a semi-big deal as, my parents hadn't seen my most recent acquisition. My first home. Naturally they knew I had bought some prime real-estate in the fair city of Vancouver. They knew it because they woke up one morning with their savings drained and debt collectors at the front door. Their December visit was the first time they were going to see my abode . . . in the flesh. I'll preface this with, my apartment is rad. I feel it's got a very Holly Golightly-esqe quality about it. Thousands would disagree, but they are stupid. Apart from a couple of kitchen and bathroom things (read: new floors), the place is pretty much done. A few different light fixtures and a lick of paint, and I was pretty satisfied. The most pressing matter was to throw up some storage in the bathroom. There wasn't any. None at all. So My Mum has been on me since Apartment's purchase in July to go to Ikea already, and get some wall mounted cabinets. This was clearly not as urgent to me as it was to her, because on their arrival by the 22nd of December I was still dangling things off towel racks and door handles. The 27th of December. This was the day Dad, Mum and I piled into the rental car and sped off to Ikea. Dad was bored senseless, but he pulled through like a champ. In the end we got new mirrored doors for my closets,and 2 mirrored wall cabinets for the bathroom. We organized delivery for the following day. I'm not going to get into the gory details, but I will never in my life buy anything that requires assembly from Ikea again. Sheer hell. The assembly itself wouldn't have been so bad, assuming all the components had been there. I've built things with the Swedish already this year, and it went far more smoothly when it involved ginger bread. Dad and I did a bang-up job. We were a quarter of the way through closet door one (of which there were 5) and Dad gouged his hand with the Phillips. Blood everywhere, inside and outside of the door. "I'm fine, don't fuss.” smears more blood across inside of door. He couldn't find a band-aid, but I found the bloody trail he left while he looked. Two hours later 5 doors were on, and my skirt remained pristine. The doors look terrific, and to my delight increased the space and pinkness of my bedroom. I LOVE IT. The next day was bathroom cabinet day. No blood and less tears. It got done after a only 5 hours, and it's been over a week and they are still hanging. Success.